This instruction provides easy solutions to fix error code 0xc0000034 for Windows 10/8/7. This error codes appears on a blue screen of death and Windows cannot boot normally, which is pretty scary to most users. Luckily, there are solutions to fix it safely. If you are struggling to fix 0xc0000034 error, please keep reading to find out solutions. Error code 0xc0000034 is one of the annoying Blue screens of death problems related to some Windows operating system. Users tend to encounter this error code during Windows starts. System fails to boot and the screen just turns blue or black. Usually, there is no option given to fix this issue and also no further explanation on what this error actually means and why it is happening. This section sums up possible causes that computer may get error code during booting. Since the error code provides very few clues to reasons, what we can do is dig any possible causes behind the issue. Boot-related files are missing, corrupt, damaged or misconfigured. 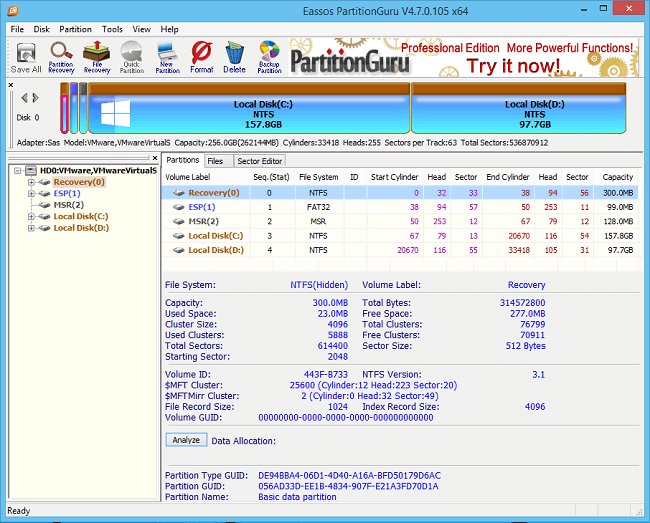 Errors associated with BCD causes blue screen during startup and error 0xc0000034 relates to one specific BCD file, thus damaged BCD is one of the main causes. Hard drive bad sectors. Bad sectors on hard drive stores vital system files which are no longer readable. Corrupt or damaged Windows. Operating system gets crashes due to certain reasons. In this case, you may need to perform a system restore or a clean reinstallation. Thought the blue screen error code 0xc0000034 is fatal, there are step-by-step solutions you can follow to fix it. If the error code on your PC cannot be repaired by these solutions, you will have to consider system restore or reinstallation. This solution uses the Automatic Repair function built-in Windows, and it needs the help of Windows installation media, such as CD, DVD or USB drove. Here are detailed steps. Step 1: Insert the Windows installation media and reboot system. Press the specified key prompted on screen constantly before your PC boot to Windows, so that your PC can boot from the installation disk instead of hard drive. Step 2: Click Next on the startup menu and then click Repair your computer on next screen. Step 3: Click Troubleshoot and then select Automatic Repair. Step 4: Select the operation system from the list and it will check your OS for problems and fix them. The repairing process may take a while, please wait patiently. If it fails to fix the error, please try next solution. Step 2: Click Next -> Repair your computer -> Troubleshoot -> Advanced options -> Command Prompt. Step 3: In the Command Prompt window, type following commands and press Enter after each command. Step 4: Once above commands finishes, type exit and press Enter. Then restart computer to check if 0xc0000034 error is fixed. Step 1: Install and launch free bad sector repair software. 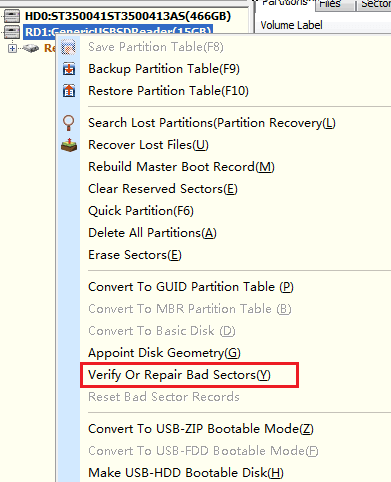 Step 2: Right-click the disk in question and select “Verify or Repair Bad Sectors” option. 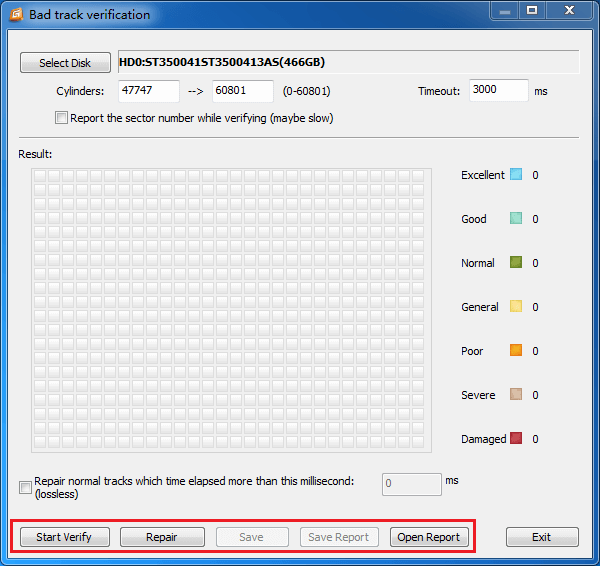 Step 3: Click Start Verify button on the “Bad track verification” window and the software starts scanning for bad sectors. Step 4: When the scanning completes, it reports how many bad sectors have been found. Step 5: You can click “Repair” button to get bad sectors repaired. Note: Repairing bad sectors damages data stored on or near bad sectors, thus you should back up files before trying repairing them. If bad sectors cannot be repaired by software, you’ll have to send it to repair center or replace the hard drive with a new one. HOW TO FIX ERROR CODE 0X80070005? HOW TO FIX ERROR CODE 0X80004005? This entry was posted in Partition Manager and tagged error code 0xc0000034, error code 0xc0000034 Windows 10, Your PC needs to be repaired by EASSOS. Bookmark the permalink.